Does your investment portfolio support the causes you care about? Here are steps you can take to help your investments reflect your values—while pursing competitive performance. A growing number of investors are choosing to put their money where their morals are, investing in companies that align with their values. This responsible investment approach is also known as sustainable investing or ESG investing. At Wells Fargo Private Bank, we call our approach Social Impact Investing. Social Impact Investing seeks the potential for competitive investment returns, but does so with the twin goals of aligning portfolios with client values and creating a positive impact in society. The sector has taken off in recent years, growing fourteenfold since 1995 and 33 percent from 2014 to 2016, according to a report by US SIF Foundation, an industry group that advocates for sustainable investing. About $8.72 trillion in assets under management in the U.S. use responsible strategies, the report says. “Clients always want to know whether responsible investing will impact performance, and the truth is that, while you can’t predict future performance based on historical results, the performance of these strategies has been at par or above the S&P Global 1200 from 2014 to 2018 according to the S&P Global 1200 ESG Factor Weighted Index,” says Lloyd Kurtz, Senior Portfolio Manager and Head of Social Impact Investing at Wells Fargo Private Bank. Kurtz adds, you should also figure out what connects with you. According to the US SIF Foundation, about $8.72 trillion in assets under management in the U.S. use responsible strategies. Some advisors use questionnaires that ask you to check off possible interests, but you can also simply choose to outline what you care most about, Kurtz says. With that list in hand, you can find multiple ways to better align your portfolio with your values. Exclude investments that don’t align. This strategy is called exclusion because it focuses on excluding companies from your portfolio that don’t align with your values or beliefs. First popularized by faith-driven investors, this strategy is now used by many investors who have an objection to a certain industry. You can avoid companies that focus on weapon development or tobacco production, for example.”I have clients who really worry about climate change, so they never want to own a fossil fuel stock,” Kurtz says. Other common criteria for exclusion include child labor, animal welfare, firearms, gambling, nuclear power, stem cell research, and alcohol. Choose companies or funds that demonstrate responsible behavior. Many investors today seek to invest in companies that have strong over performance in the environmental, social, and governance (ESG) areas. “Responsible investment managers have access to very detailed research that covers almost all publicly traded companies and allows an understanding of their environmental record, their culture, and their corporate governance,” Kurtz says.A whole class of mutual funds and exchange-traded funds (ETFs) has emerged with a focus on ESG factors, and many leading investment managers have committed to integrating ESG into their investment process. Today you can find products incorporating ESG in most major asset classes, Kurtz says.One other option is to work with your wealth professional to investigate funds that focus on highly specific themes related to some aspect of a company’s behavior or management, Kurtz says. For example, gender-focused funds select companies with robust diversity practices or significant female leadership. Invest directly in companies that deliver social and environmental good. To make a more direct impact, you might consider investing in companies whose primary goal is delivering social and environmental good. You could put your money into a community development institution, for example, or with companies that have stated goals of giving back to communities or donating some of their profits to causes you care about. Kurtz notes that that’s important to remember that such investments may carry unique financial risks, and recommends that you work with your advisor to find the right balance for your portfolio. Is responsible investing right for you? Your wealth professional can discuss the benefits and drawbacks of values-based investing with you, Kurtz says. He or she can help you define your values and priorities, along with how much risk you are comfortable with and how much diversification you want. With that information in hand, your advisors can create a portfolio that reflects your values and priorities, Kurtz says. With all of the choices and information available today, your team can help you find a path that promotes your personal goals while continuing to pursue competitive performance. Learn more about Social Impact Investing from The Private Bank. 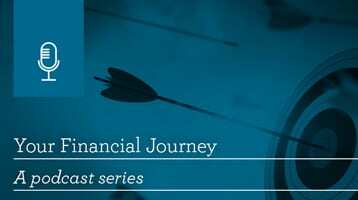 Our podcast offers tips to be more intentional about incorporating your values into your investment strategy. Do You Have a Digital Estate Plan for Your Online Assets? What can Wells Fargo do for you? Talk to us about crafting strategies for managing both sides of your balance sheet. Tips to be more intentional about incorporating your values into your investment strategy. All investing involves risk, including the possible loss of principal. Past performance is not indicative of future results, and there is no assurance that any investment strategy will be successful. An investment’s social policy could cause it to forego opportunities to gain exposure to certain industries, companies, sectors or regions of the economy which could cause it to underperform similar investments that do not operate under a social policy. A socially responsible investing style may shift in and out of favor. Sign up to receive monthly email updates of what’s new at Wells Fargo Conversations. Please submit a valid email address. Wells Fargo Private Bank and Wells Fargo Wealth Management provide products and services through Wells Fargo Bank, N.A., and its various affiliates and subsidiaries. Wells Fargo Bank, N.A., is a bank affiliate of Wells Fargo & Company. © 2010-2019 Wells Fargo Bank, N.A. All rights reserved. NMLSR ID 399801 Equal Housing Lender.